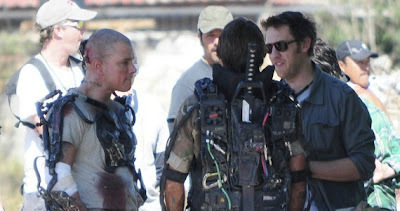 Elysium has hit theaters in the US recently and will soon becoming to cinemas right here in SA, but director Neil Blomkamp already has his eye on his next feature film, called Chappie. Sony Pictures has announced Blomkamp will begin filming this October. As well as Directing, Blomkamp has written the screenplay with Terri Tatchell and will be producing alongside Simon Kinberg. The film will star Sharlto Copley as the voice of Chappie, with Ninja and Yolandi Visser, rap-rave duo Die Antwoord, as the two gangsters. Last Sunday Vin posted a pic of Groot, a member of Guardians of the Galaxy up on his Facebook page, since the film is already filming and the voice of Groot hasn’t been confirmed, many fans took this as confirmation that Vin Diesel would be the voice of Groot in the Guardians of the Galaxy film. Diesel spoke with The L.A. Times about the role and his ongoing social media presence. "I’m an actor," the Furious Six star tells the outlet. "Not everything has to be the most obvious choice. And sometimes, the best thing you can do — as far as Steven Spielberg and his advice — is to defy expectations. So if everybody thinks you’re going to go for this one thing and you flip it entirely and go for the strangest Marvel character, it’s interesting. And when something is interesting, it’s inspiring." Diesel goes on to explain that, while fans speculated that Marvel Studios might not be happy with his social media teases, the reality is rather different. "The last thing they are is mad," he says. "I’m pretty open, but I have been secretive about this. I went to Comic-Con and I got blasted while I was on the Hall H panel for 'Riddick.' Someone asked a Marvel question. I couldn’t say anything because of that secrecy." Fans have been speculating for months, who Vin might be playing within the Marvel Cinematic Universe, and even now many believe that he could in fact be voicing Rocket Raccoon! Thee most badass Raccoon who will ever see! Guardians of the Galaxy, which also stars Chris Pratt, Zoe Saldana, Dave Bautista, Lee Pace, Michael Rooker, Karen Gillan, Djimon Hounsou, Benicio del Toro, John C. Reilly and Glenn Close, is now shooting, targeting an August 1, 2014 release. In other Vin Diesel news, The Hollywood Reporter brings word that Vin is now set to lead Soldiers of the Sun, an original spec script from Arash Amel (Grace of Monaco) designed to become a potential series at Universal Pictures. Set in a post-apocalyptic future, Soldiers of the Sun follows a group of soldiers who do battle with Orcs (said to be an alien race) as they search for a legendary city of gold in Mexico. Universal is also home to Diesel's similarly ensemble-fueled The Fast & the Furious franchise. The seventh film in the record-breaking franchise is being directed by James Wan (The Conjuring) and will hit theaters July 11, 2014. Entertainment Weekly is reporting that Mel Gibson and Antonio Banderas will appear in Expendables 3. Gibson will indeed be playing the villain of the film, as it was speculated for a couple of months, while Banderas role hasn’t been confirmed. Glen Powell has also been confirmed for a role in the film. He'll play a military hacker and drone expert in the ensemble sequel. The cast currently includes Sylvester Stallone, Arnold Schwarzenegger, Jason Statham, Kellan Lutz, Victor Ortiz and Ronda Rousey. 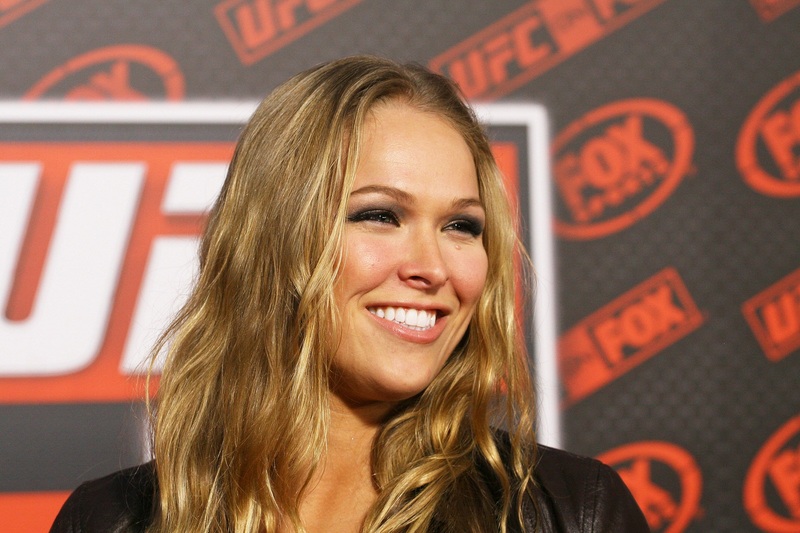 Ronda by the way, has signed on Expendables 3 as well as Fast and Furious 7 both films will be filming soon, so it will be a hectic few months for the UFC champion. The film set to shoot soon in Los Angeles, rumored additional cast members have been said to include Jackie Chan, Wesley Snipes, Nicolas Cage and Milla Jovovich, although none have been, as of yet, confirmed. 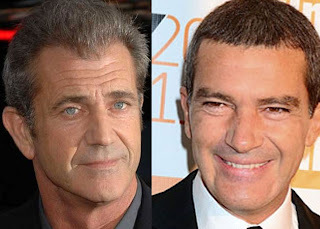 Both Banderas and Gibson will also appear in Machete Kills, which will be released on October 11. The Expendables 3 will be directed by Patrick Hughes and is scheduled to arrive in theaters on August 15, 2014.